We show an extended selection of images from Bodymap's archives that shook up 80s fashion in London. We saluted the ground-breaking label Bodymap in Dazed's December issue and here we take a look at more of their archive imagery that undoubtedly still resonates in fashion today. There's a reason why Bodymap has never dropped off fashion's radar. Renowned for its neverending layers of print and unstructured shapes, the label has always been a reference point in the world of ready-to-wear - even Kylie was all over the brand when she needed bright pieces for a recent tour. Stewart has gone on to design costumes for Britney Spears and Girls Aloud, showing that Bodymap's aesthetic is still very much relevant. But that's no big surprise. Stevie Stewart and David Holah, the mastermind duo behind Bodymap, may have watched their brainchild fold in the 80s (just eight years after being founded), but the cultural importance of their collections has never been in doubt. London Fashion Week is now known as a hotbed of craetive flare and in-your-face directional design, but it wasn't always that way. Back in the 80s, it was Bodymap's wildly creative designs that really kicked things into motion. "Barbie Takes A Trip", "Querelle Meets Olive Oil" and "The Cat in the Hat Takes a Rumble with the Techno Fish" were just some of the inspired names of Bodymap's most popular collections, and their catwalk shows had both fashion editors and club kids abuzz. 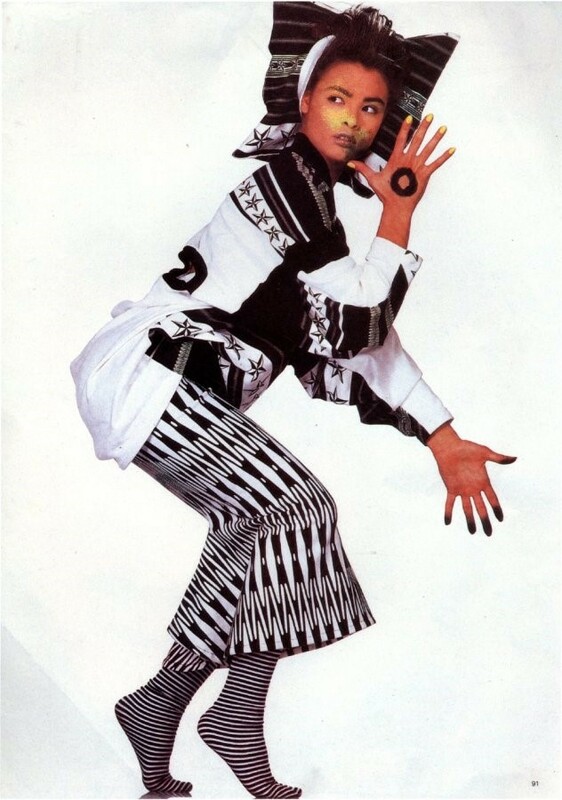 More performance art than runway, they could always be relied upon to present their collections in an original, outrageous way and the legendary likes of Boy George, dancer Michael Clark and Leigh Bowery all made catwalk appearances. It was Bodymap's involvement with textile designer Hilde Smith that really helped shape its vision. Hilde's prints were in a league of their own, and she brought textiles into a whole new light. Bodymap had big plans. Both Stewart and Holah wanted to go global, but the late 80s were a tough time for the British economy, and like so many other independent labels at the time, Bodymap's niche sales weren't enough to keep it solvent. The buzz word for young hipsters, Bodymap was a whirlwind of overemphasised shapelinesss, restructured shape and ground-breaking print, and references to the much-loved fashion house live on.